The arrival of winters brings with itself the most outstanding and fresh produce of tomatoes one can relish. It’s time to pluck those ripened tomatoes from your garden and enjoy the bounty of winters. 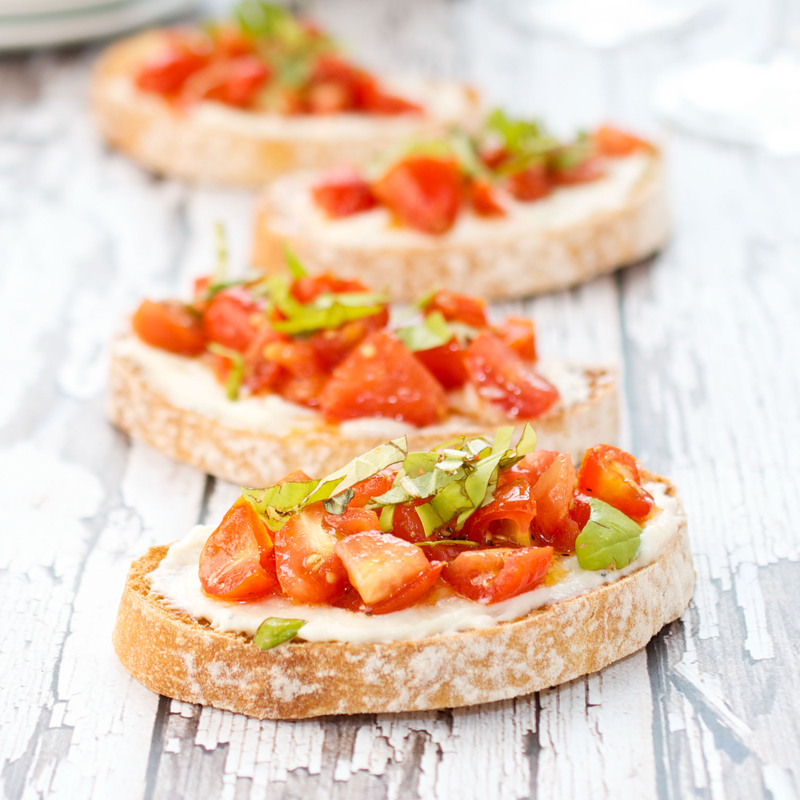 Making bruschetta, an Italian antipasto (appetizer) is a perfect way to capture the true flavors of tomatoes. The amalgamation of its ingredients is perfect and hence enjoyed by kids and adults alike. A simple yet yummy party dish as you can prepare the mix before hand and serve it when your guests arrive. The tangy tomatoes and the fresh aromatic basil leaves an overwhelming taste on your palate. 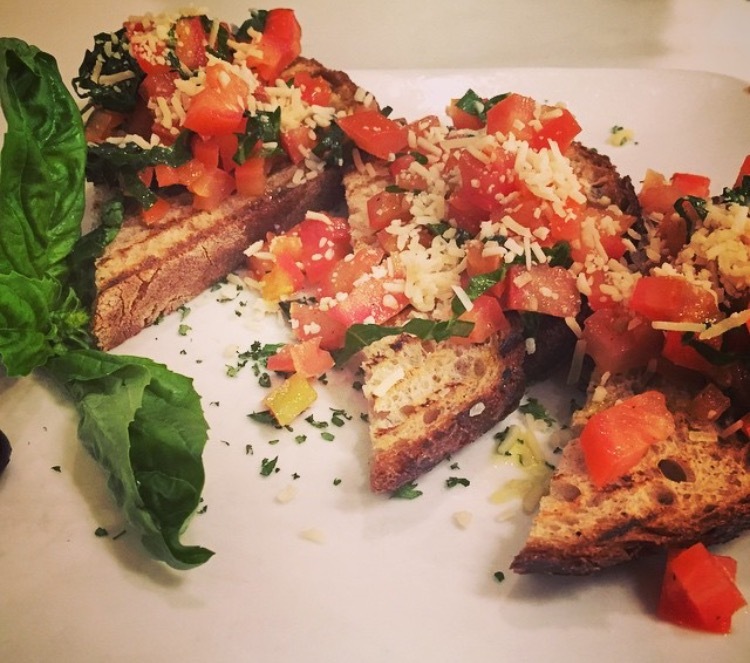 I personally don’t like to alter the original recipe because it is its simplicity that makes me salivate more every time I eat bruschetta. I love making this dish for my friends, family and guests since it’s quick and the ingredients are easily available in my kitchen. So as the weekend is here and friends will be coming over , try making this bruschetta and your guests will definitely relish it. Remove the core of the tomatoes, deseed them and chop them into small cubes. Tear the basil leaves to be added in the chopped tomatoes. Leave a few basil leaves for garnishing. Add the minced garlic and extra virgin olive oil too. Toss it well after adding black pepper and salt. Rub the bread slices with garlic (optional) and drizzle EVOO on it. Place the bread, put the tomato mix, top it with grated cheese and serve. 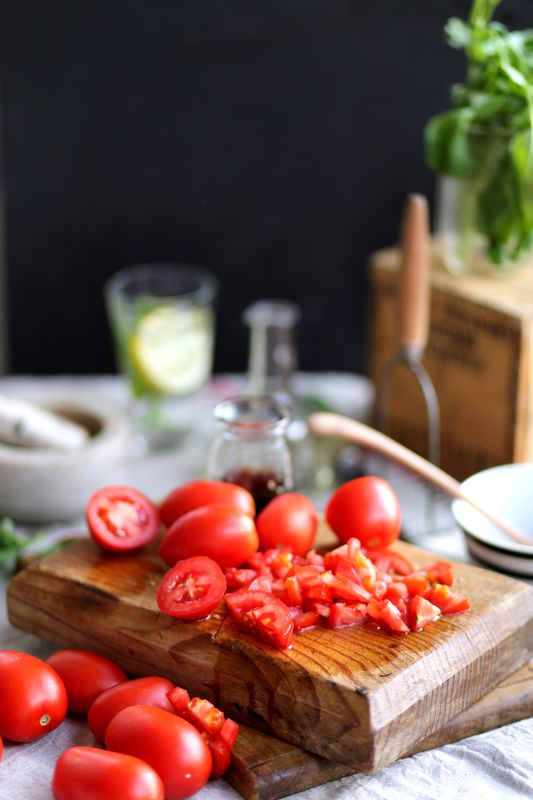 With boatload of tomatoes in your kitchen, this is a must try recipes to kickstart your Italian meal. The look might be different but the taste will be the same every time you cook.